In my last post I showed you Asakusa in Tokyo, and I showed you the temples, but also some interesting streets. 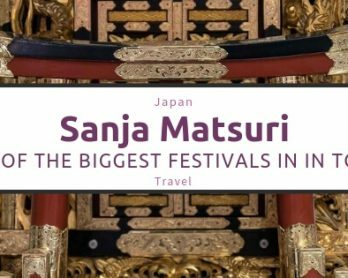 But what I didn’t tell you was that the famous “Sanja Matsuri” was taking place! A matsuri is a type of festival…. The Sanja Matsuri (literal meaning: Three-Temple-Festival) in Asakusa takes place every third weekend in May. During the Matsuri, respects are paid to the three founders of the Sensō-ji. 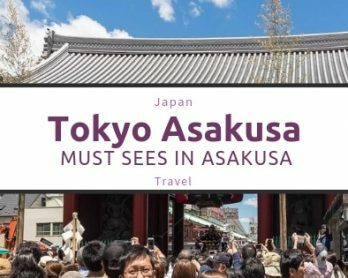 If you want to read more about the founding of this temple, then you should first read the blog about Asakusa. The is also one of the three largest festivals in Tokyo. About 2 million festival goers take part from Friday to Sunday. It was unbelievably full, but to realize that it could be so many people was really hard to believe. Maybe it eas hard to realize because it ran so smoothly and we never had the feeling of being mashed in a crowd. The festival goes back into the seventh century. In that time, it was also known as „Kannon Matsuri“ or „Asakusa Matsuri“. 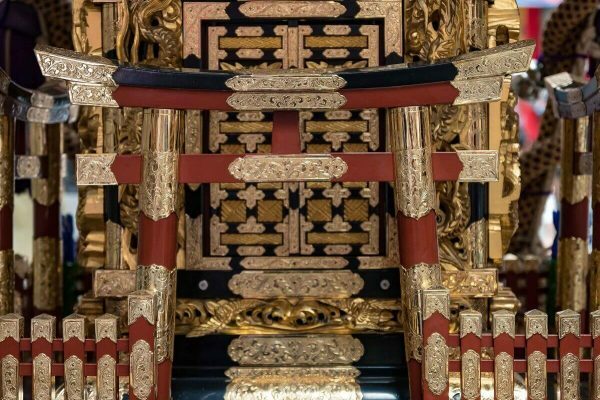 The current style of the Sanja Matsuris is still happening per tradition since the Edo Period. The construction of the Asakusa temple began in 1649 and as such laid the foundatin for the festival. 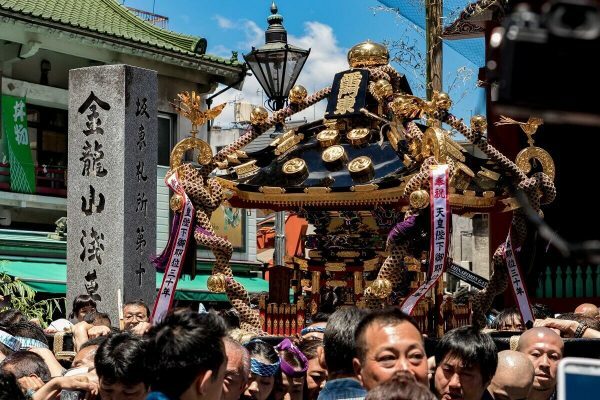 Today almost 100 Mikoshi (miniature portable temples) are carried by the union of the local residents through the streets, being lifted and dropped in a rhythmic fashion. In the temples little Shinto-God figures, which are supposed to bring the residents and attendants good luck and good business. The Asakusa temple is the largest of the three Mikohi. These are displayed on Sunday. The festival begins on Friday with the Big Parade (Daigyōretsu, 大行列). Priests, city officials, musicians, geishas and dancers all participate, wearing costumes from the Edo-period. The parade ends at the Sensō-ji and Asakusa temple with a Shinto ceremony. After the ceremony a traditional dance is done, that is supposed to bring a bountiful harvest. 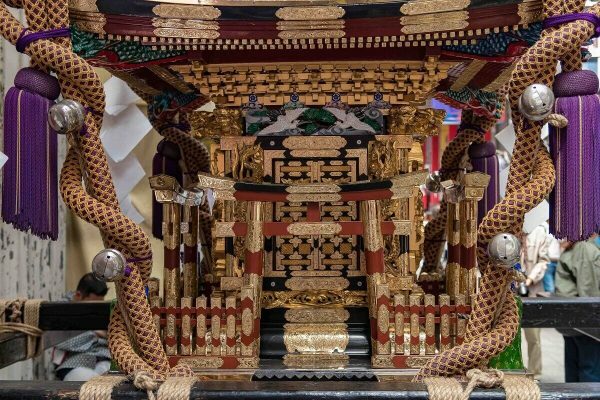 In the evening the first six Mikoshi are carried through the street.One such shrine weighs several hundred kilograms and is always carried by many men and sometimes women. Each group of the carriers wears the festival costume, called a Happi. But there are also differences within the groups, so newcomers to the group are wearing distinct jackets compared to the seasoned participants. 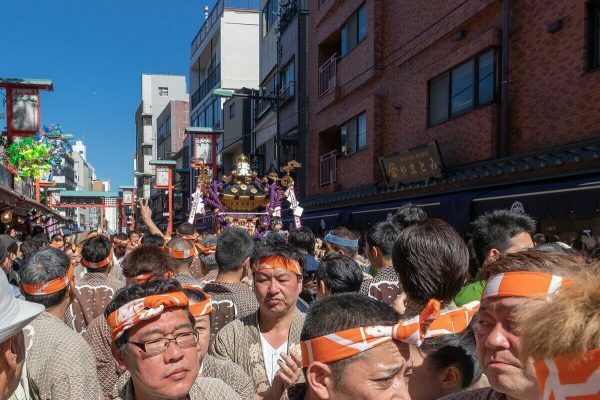 On Saturday the nearly 100 Mikoshi from the 44 neighborhoods in the area are carried through the districts. 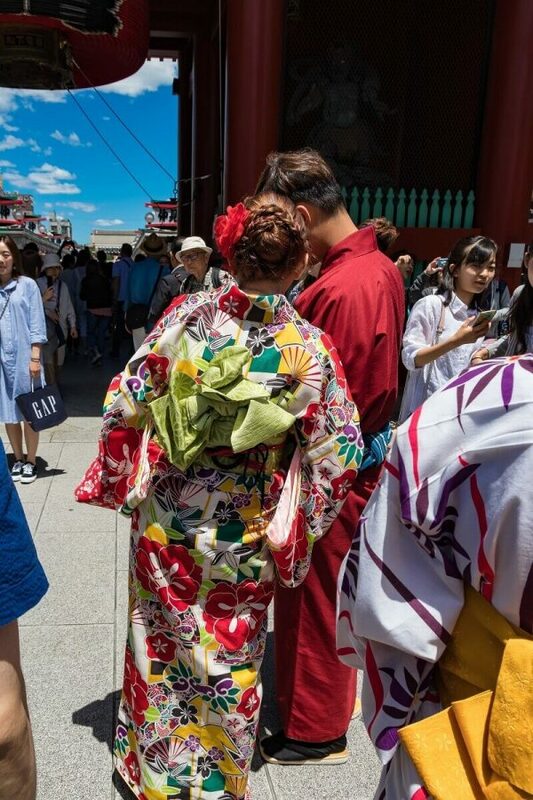 The carriers bring to the Sensō-ji and Asakusa-Temple, where they are blessed, before they are then carried back into their places of residence. That is where they are supposed to harbor their luck and good fortunes. 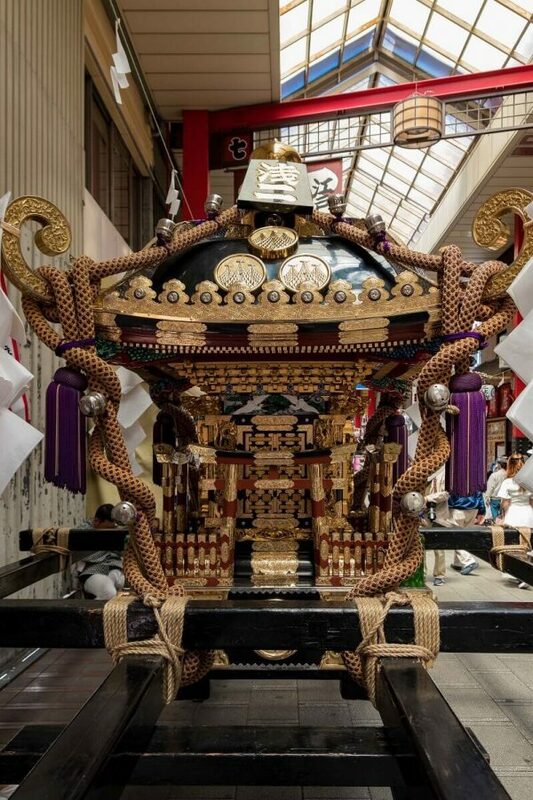 As mentioned the three most important Mikoshi are carried through the cities on Sunday. Sunday activities begin at 6 am. 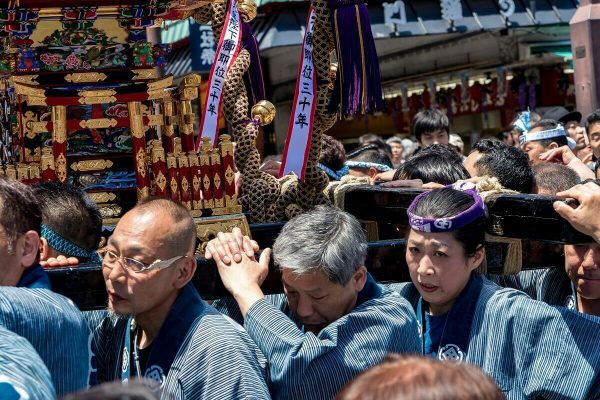 Hundreds of celebrating participants, joined as neighborhood groups, compete to have the honor of carrying one of the three important Mikoshi. Visitors are not allowed to visit the temple during these festivals during this time. The three main temples are carried through the streets starting at about 8 am and through all 44 neighborhoods, before returning to Sensō-ji. During the Sanja Festival relatives also take an important place. As you saw in the blog about Asakusa, you can buy a lot to eat at the Nakamise Dori. In addition there are more stands around the temple grounds. We ate a good breakfast, but I still wanted to try a portion of Takoyaki at all costs! 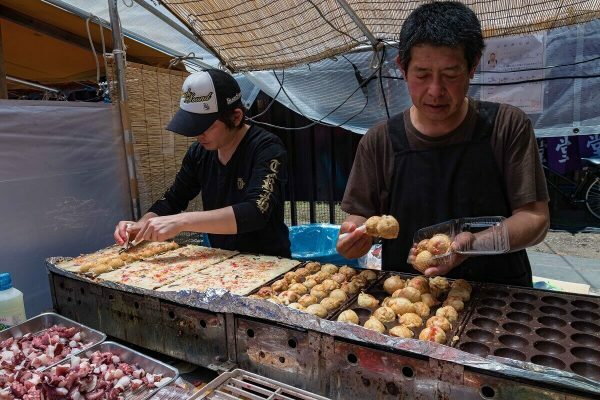 The squid balls tasted really good, but other things weren’t as delicious by comparison. Some of the drink stands try to sell really odd drinks to the customers, like „Blood conserver“ (Tenteki Juice) or colorful drinks in lightbulbs. While meandering around we saw a small stage, where musicians were seated and playing music using traditional instruments. Geishas also made appearances, but we somehow missed this. It would have cost money to see them anyway. In one of the shopping strips there was a Mikoshi that I could look at closely. They are really extremely detailed and decorated with wonerdful embellishments. Often there are pictures, like of cranes on them. Even when the three days had nearly 2 million visitors, i somehow never felt like it was uncomfortable or full. 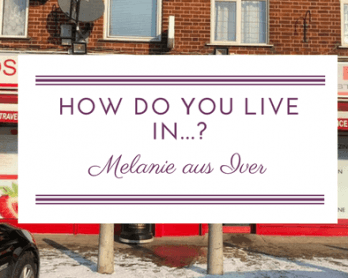 The Düsseldorf carneval at is definitely far worse in this respect! 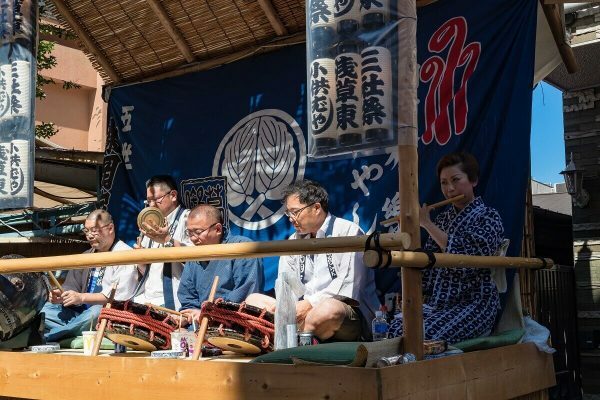 If you ever have the chance, you should definitely view these three Matsuri! 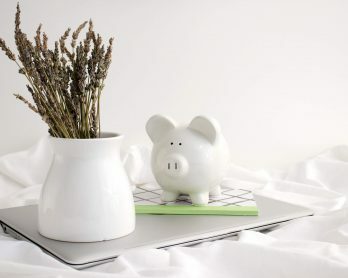 In 2019 it takes place again on 17-19th of May. 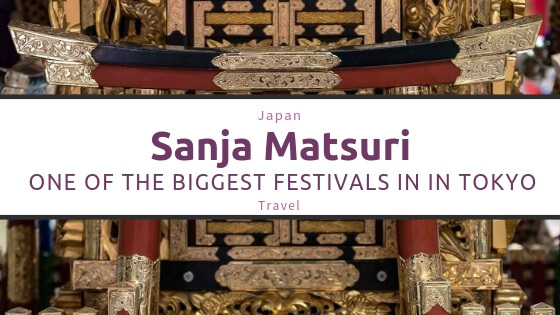 Do you know the Sanja Matsuri, or were you already at a Matsuri festival in Japan? Leave me a note about it. 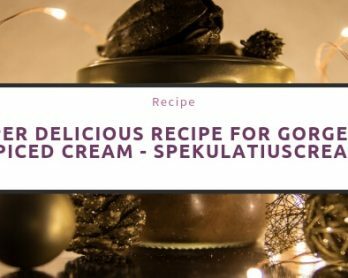 And if you liked this post, don’t forget to share it!